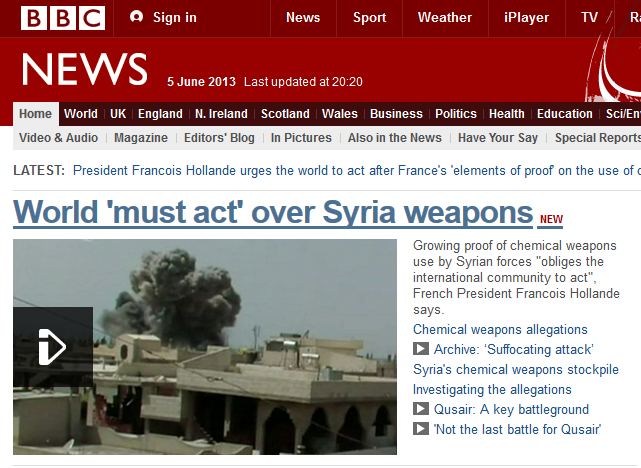 On 5th June 2013, the featured headline on the homepage of the BBC News website was “World ‘must act’ over Syria weapons”. This related to statements made by the French President. But how many people landed on the homepage that day and didn’t read beyond the headline, just taking in the key message – “Syria has weapons, something must be done” ?